This entry was posted on May 6, 2014 by Tintean Editorial Team/fdg, in News and tagged Casement, Easter rising, Joseph Mary Plunkett, Plunkett. Bookmark the permalink. The O’Brien Press plan to publish progressively biographies of the sixteen men executed after the Easter Rising. Half of the project is currently complete, and Tinteán will put together a team of reviewers to deal with each biography as the set becomes available. This biography, on the poet and the military strategist of the Rising, was one I badly wanted to love, but I’m afraid I don’t. It is clumsily put together and not well edited, and one cannot help but feel a great opportunity has been squandered. 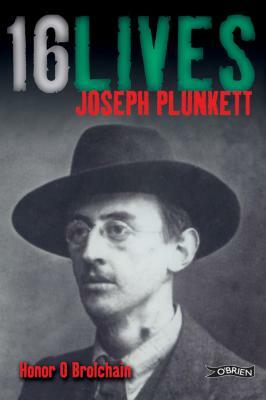 The story of Joseph Mary Plunkett is so dramatic, so full of high courage and drama and resolve, that it should have made the best kind of biography. Honor O Brolchain is a family historian, the daughter of Joe’s sister (who became his aide-de-camp during the Rising). This family connection came with access to a large body of materials which make their way to the page, unfortunately, largely undigested. The problems of simply inserting poems, letters, fragments from diaries, with no contextualisation and minimal commentary are endemic in this particular biography. The worst example of it occurs at the end of the book, at the narrative crisis, when the biographer is accounting for where the family members were when, on 2 May, 1916 Joe is awaiting a doomed court-martial: mid-sentence, the roll call of his family and friends is separated by a comma from a letter Joe wrote to his beloved Grace Gifford apologising for not meeting her on Easter Monday to get married, as they’d planned. The segué is non-existent. What is concerning about this kind of writing (and concomitant lack of editorial intervention) is that the material invites a biographer to do so much more with it. Modern sensibilities demand both understanding of the mores of the time and a commentary that takes into account contemporary mores, at the very least. Why did this man organise his wedding to happen on the same day he planned to direct a rising? Was it designed to deceive the British? If so, what about the affront to Grace, which is compounded by the infantilisation of her? His form of address, ‘My dear child’ may have been period love-talk and affectionate, but to trifle with her affections in the very serious matter of a wedding is to treat her as less than equal, however pressing and nationally significant the declaration of independence from England. Not to mention the affront to the other couple whose nuptials they were supposed to share in a double wedding? What I find most frustrating about the methodology of this biography is the failure to discuss the diary entries, letters, and poems that liberally proliferate in this biography. What is offered in this book is the absolutely conventional and sentimental tale that every Irish schoolgirl knows of the marriage between Grace and Plunkett: the sealing of the marriage by candlelight in Kilmainham Gaol the night before he was shot. The documentary evidence is richer, grainier, but under-utilised. We do, however, get some very moving (perhaps new?) details about Grace, veiled and tearful, buying her own wedding ring, an expensive one, from Stoker’s in Grafton Street. I recently reviewed for Tinteán Mario Vargas Llosa’s not-as-strange biography of Casement, The Dream of the Celt, and although I wasn’t uncritical of it, I did find it attempted to explain Casement’s nationalist fervour in terms of his thinking about Empire, and by analogy with the appalling colonialist exploitation by the Belgians and the British in the Congo and the Amazon. I’d have liked similar insight into how the aristocratic poet Plunkett became interested in nationalist politics, but sadly, it’s not something the author addresses in an analytical way. Was he perhaps inducted into the culture, like Yeats, by Biddy Lynch, a nursemaid with a fund of Irish folklore and stories? It seems his father was a radical and a Parnellite, and rejected for these reasons by Redmond in 1900 as a parliamentary candidate, and certainly the son seems to have inherited those politics. His father gave some casual exercise to ‘Who Fears to Talk of ’98’ at home in the lead-up to the centenary of the United Irishmen’s Rebellion, but that’s just a hint. Joe’s interest in Irish might also derive from the father’s founding of the Society for the Preservation of Irish Language and the Arts and Crafts Society, and his knowledge of Irish was certainly useful when covering his tracks during his visit to Germany during the war and in planning the Rising. Casement was also a visitor to the family’s house. Joe’s father, a Papal count, was an art historian at the National Museum, but the real money in the family came from real estate dealings, often in slum properties (of the sort denounced by Larkin). Joe, the author tells us, remained blissfully unaware of this because the mother kept her shameful secrets. These urban estates and tenements (some in good areas) were managed by his mother, an irascible and difficult, even unpleasant woman who was frequently given to acts of violence. She also foisted on her children the delusion she was short of money, though, to be fair, Joe continued to call on her (sometimes lavish) patronage throughout his life for various worthy projects. She abandoned her children to a variety of schools, boarding establishments (in England at Stonyhurst as well as in France), older sisters and nurses, sometimes not seeing them for a year at a time. From childhood, just to clinch the case for parental neglect, he was a sickly child, suffering not only the usual childhood diseases, but also bovine pneumonia, which would have killed him if the British hadn’t. Maybe it’s not such a surprise that Joe could treat Grace as he did? And is his treatment of Grace of a piece with his mystical poetry and Catholicism? What emerges from this account very clearly is the access to culture which a gentle education (of the sort enjoyed by aristocrats) and serious money gave him: he was ‘finished’ at Stoneyhurst alongside European nobility. Even as children, the Plunketts took part in plays and pageants, spoke French. Later in life, he found his feet intellectually in an arena which was open to titled and moneyed Catholic sons at Stonyhurst, in the ‘Gentlemen Philosophers’ course which he joined for two years at around 18, one of just nine gentlemen from all over Europe who studied Arts, Science, Classics, Maths, Law and Medicine, and Officer Training for three weeks at Aldershot. One cannot imagine this was sufficient to give him the confidence to become the military strategist of the Rising, and indeed other than general intelligence, this too remains unexplained. It was, however, the kind of education that turned him into a poet, a literary publisher, founder of a modern European theatre (presumably in opposition to the more nationalist Abbey Theatre), and a poet (of a minor Georgian variety – he was a shade too early, and in any case, probably not of the temperament to become, like Yeats, a romantic- turned-modernist). Perhaps the weakest part of the book is its reliance on his very tedious Algerian diaries of 1911-12. Sent there for his health during an Irish winter, they are lengthy (at 30+ pages), desultory, inconsequential and not at all relevant to the series’ focus on 1916, and completely undigested. A paragraph or two would have sufficed. They give precious little evidence of what was to come, but perhaps that could too have been discussed. The transformation from effete man of letters to physical-force nationalist between 1913 and 1916 is quite dazzling. O Brolchain identifies the Lockout of 1913 as the catalyst, and one is led to wonder how Plunkett, a representative of the landlord class, came to be so changed. Certainly, he seems for one so gently bred, to have had the common touch, and to have been moved by the working class men he housed at Larkfield (a family home that became a refuge and a training academy). In three short and busy years, Plunkett served on the Industrial Peace committee, joined the Irish Volunteers and became Director of Military Operations, joined the Irish Republican Brotherhood, became a member of the Military Council, negotiated with the German Foreign Office for arms, and assisted Casement in Germany, travelled to the US to inform Devoy and McGarritty about the Rising, and kept writing poetry and training his men. It’s an extravagant finale, and demonstrates the kind of focus he didn’t have until 1913. One wonders about the role of his illness in generating the energy by which he burnt out so spectacularly. The account of his insouciance and courage leading the Rising from a palliasse in the GPO while he lay dying, and dragging himself to a self-respecting surrender with a bit of swashbuckling swordplay, for the best of reasons, cannot but be deemed a kind of heroism. So, not the book it might have been, unhappily, but fascinating nonetheless. 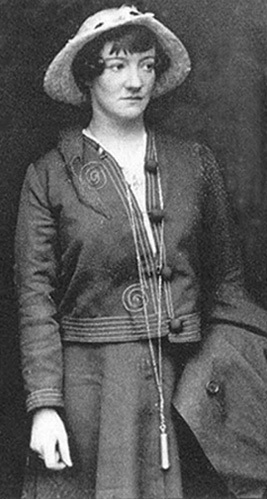 Frances is a member of the Editorial Collective of Tinteán.